Born Natalie Louise Cook on 19 January 1975 in Townsville, Queensland, her life might have taken a completely different path had it not been for her own personal light bulb moment. 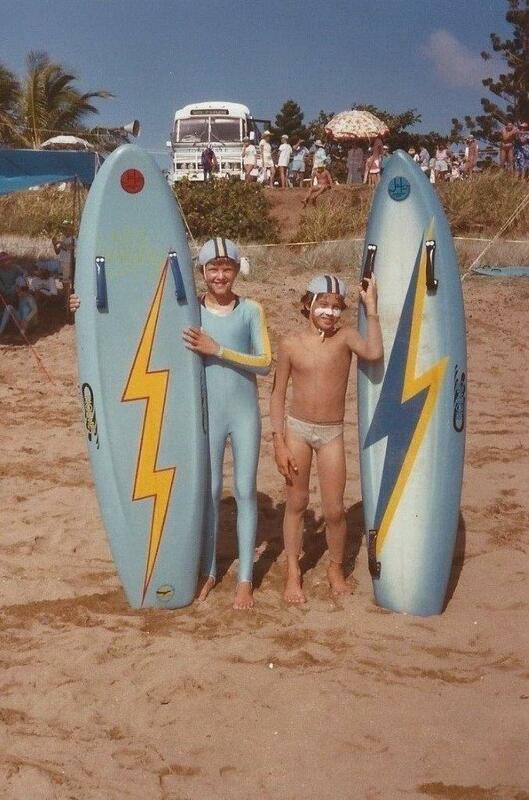 Nat grew up playing a lot of sport and spent her younger years on the beach as a Nipper. Then at just 7 years of age, the light bulb went off. Nat was watching the 1982 Brisbane Commonwealth Games on the television at home in Townsville. She watched with immense pride and excitement as her hero an fellow Queenslander, Lisa Curry, triumphed and won Gold in the pool an incredible three times. The ripples created by Curry’s success weren’t just limited to Brisbane. They rapidly spread across the nation. As Lisa Curry stood on the podium to receive her medals, Nat felt an immense shift within. This was her light bulb moment: she too wanted to feel the weight of a gold medal around her neck! There was no turning back. As a youngster, Nat was a gifted athlete and fierce competitor. What’s more, she didn’t just show promise with her athletic ability or in her sporting endeavours. She was also very bright academically. Nat spent her secondary school years juggling her studies with training and competing as an athlete. In fact, she captained the Australian Junior Indoor Volleyball team the same year she completed her secondary education. That kind of workload is enough to bring most of us to our knees. 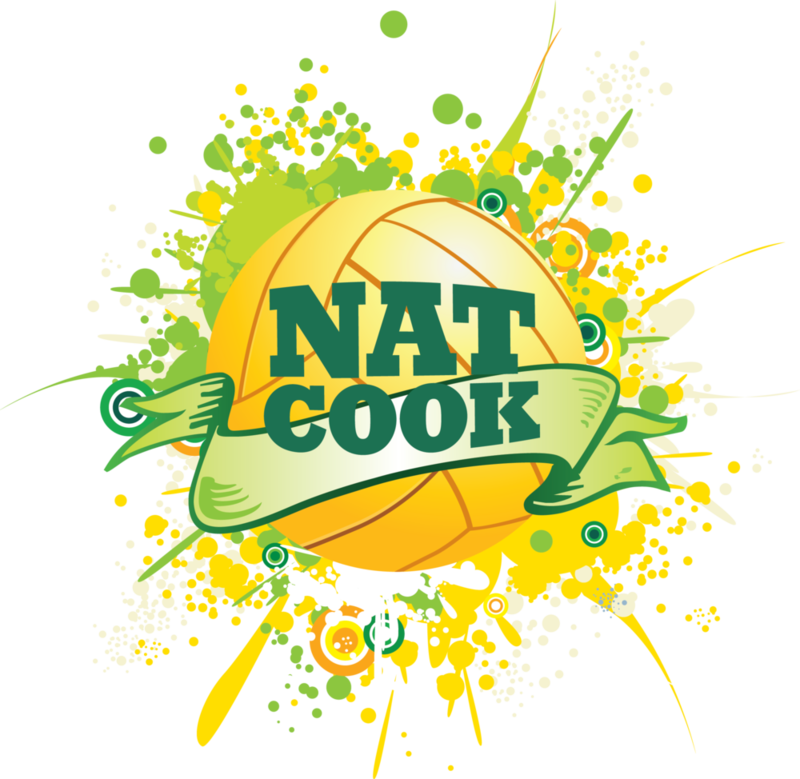 Not Nat Cook. In fact, her fierce determination and capacity for self-discipline saw her awarded Corinda State High School’s most illustrious prize in 1992: Dux of the school. She also capped it off by winning the Caltex All-Rounder Award that year too. Nat’s academic prowess was quickly recognised. She gained admission to the highly prestigious and sought-after Bachelor of Physiotherapy degree at the University of Queensland. Put her sport to one side and pursue a career in physiotherapy? Or find out once and for all whether she had what it takes to win a gold medal? 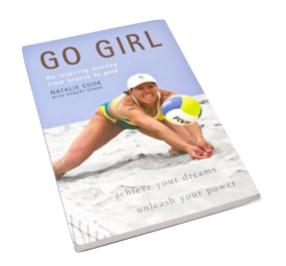 By the time Nat started university, she had transitioned across to the more physically demanding sport of beach volleyball. It was the perfect collision of two of her favourite things: the beach culture and the sport that she lived and breathed. Nat’s choice became crystal clear with the announcement that beach volleyball was set to become an Olympic Sport at the 1996 Atlanta Games. She put her studies on hold, turned professional in 1994 and threw herself completely into the sport. Everything fell into place. The time was right to follow her dreams of Olympic glory. Nat and her fellow beach volleyball partner, Kerri Pottharst, were selected to represent Australia at the 1996 Atlanta Olympic Games. With the culmination of many years of sacrifice and dedication, as well as overcoming injuries, fatigue and incredible odds, Nat and Kerri won a Bronze medal at their very first Olympic Games. At last, Nat found herself standing on the podium, recipient of an Olympic Bronze medal! BUT - the best was yet to come. Spurred on by her achievement, Nat had never before been more determined to succeed. The Bronze medal was a huge achievement, but she still had Gold in her sights. Four years later, Nat and Kerri were selected to represent Australia at the Sydney 2000 Olympic Games. The lead-up to the games was gruelling. Nat realised the crucial role played by motivation and the power of the mind along her Olympic journey. She devoted every waking moment to achieving her goal of winning an Olympic Gold medal. All the hard work paid off. Nat and Kerri cemented themselves a place in sporting history and Australian folklore by winning Olympic Gold on the iconic Bondi beach at the 2000 Olympic Games! Shortly after the 2000 Olympics, Pottharst retired from the sport. But Nat went on to compete in another 3 Olympic Games (one with partner, Nicole Sanderson, and two with Tamsin Hinchley) before retiring after the 2012 London Olympic Games. 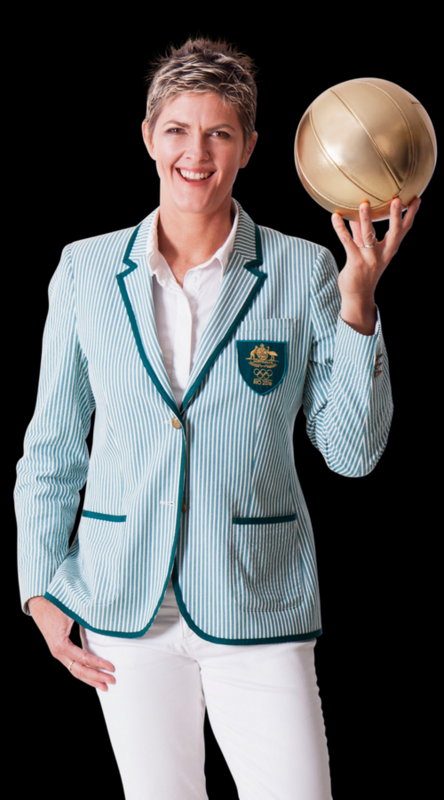 Nat has become the first Australian woman to compete at five Olympic Games: 1996 Atlanta, 2000 Sydney, 2004 Athens, 2008 Beijing and 2012 London Games. Few athletes can boast of even coming close to this incredible achievement. Since retiring, Nat has written a book, become a proud mum and wife, and an international award-winning wellness coach. She was part of the successful team who lobbied to get Beach Volleyball into the 2018 Commonwealth Games for the first time ever, and is currently lobbying for the 2032 Olympic Games in Brisbane, Queensland. Today, Nat is one of the world’s most sought after inspirational speakers, and is passionate with helping others all around the world as a health and wellness coach. Want an inspiring speaker for your next event? Or need to dramatically improve your health and wellbeing? Get My 30 Success Secrets (via Video) on How to Achieve Your Goals - FREE! Simply enter your name and email and you'll get instant access to my 30 videos and 30 workbooks - PLUS I'll email you each day for the next 30 days to help you achieve your goals! IT'S FREE! So what are you waiting for?! Let's go! Simply enter your name and best email and I'll send you a video and workbook each day for the next 30 days. Have me on your team today!